The FBI started probing emails sent by Paula Broadwell to Jill Kelley, a family friend of David Petraeus, in May 2012, and soon discovered that she had been in a romantic relationship with the decorated former general. David Petraeus was unanimously appointed to be the head of the Central Intelligence Agency after spending over 37 years in the military. 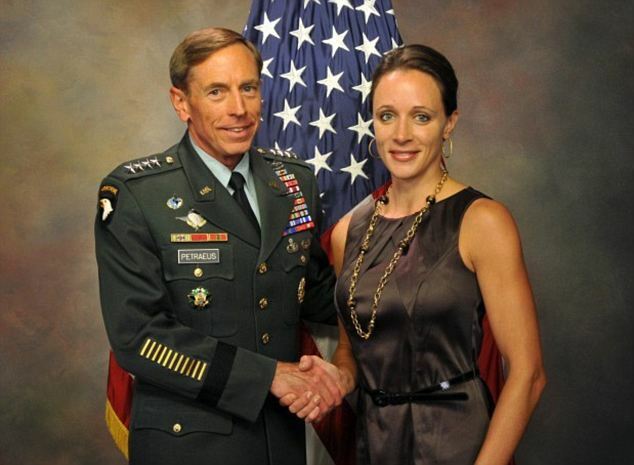 David Petraeus allegedly began his affair with Paula Broadwell, a former Army reservist and doctoral researcher who was writing a biography of Petraeus. The FBI first officially knew that Paula Broadwall was sending threatening emails to Jill Kelley, a family friend of David Petraeus. There is no indication that Jill Kelley had any sort of romantic affair with David Petraeus, but the threatening nature of the emails from Paula Broadwell suggest that she felt threatened in some way by Jill Kelley’s close connection to David Petraeus. Paula Broadwall’s affair with David Petraeus is thought to have formally ended in July, though it was not until the end of the summer that the FBI realized it was David Petraeus emailing Paula Broadwall because he had been using a Gmail account established under a pseudonym for their personal communications, some of which was sexually explicit in nature. At an unspecified date at the end of the summer, the FBI investigators notified the Attorney General’s office – and Attorney General Eric Holder himself – because they needed the authority to interview Paula Broadwall and David Petraeus. In telling the AG, investigators were clear that they were looking into the possibility of pressing criminal charges against Paula Broadwell for either her threats against Jill Kelley or any illegal action that stemmed from the communication with David Petraeus. Paula Broadwell was first interviewed at some point in September, when she admitted to the affair and turned over her computer. In mid-October, Republican Representative David Reichert was told of a national security investigation involving David Petraeus by an unidentified FBI informant. David Reichert then forwarded that tip to Eric Cantor, the House Majority leader and the one of the most powerful Republicans in the country, on October 27. From there, the circle began to widen as David Petraeus himself was interviewed the week before the Election, during which he admitted the affair but said that he was not the one to give Paula Broadwall the classified documents that investigators found on her computer. She echoed that statement during her second interview with investigators on November 2. FBI and justice department officials then discussed their findings for three days, deciding that they did not have sufficient evidence to charge either Paula Broadwall or David Petraeus on a criminal level. At 5:00 p.m. on Election Day, the FBI told Director of National Intelligence James Clapper about their investigation, and he waited until Wednesday evening to tell White House officials that David Petraeus was considering resigning. It was not until Thursday that President Barack Obama was informed, and he met with David Petraeus that day but did not immediately accept his resignation, waiting until Friday to let the disgraced General quit. In the hours before David Petraeus’ public announcement on Friday, the circle drastically widened and Senator Dianne Feinstein, head of the Senate Intelligence Committee learned of the plan. Dianne Feinstein contacted David Petraeus and asked him whether he thought it was truly necessary for him to leave his post. Citing his belief in leadership coming from the top-down, he said it was the best thing for him to do.